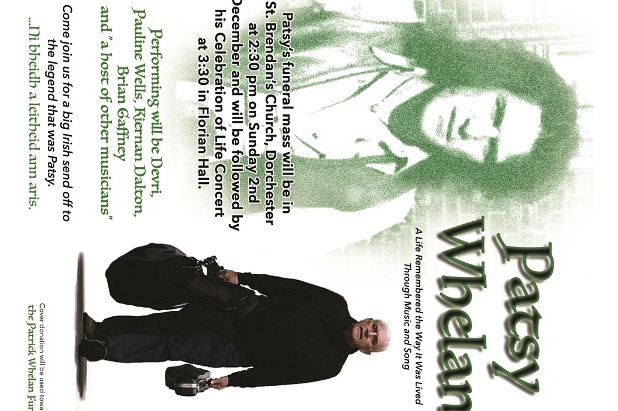 Patsy Whelan's life will be celebrated on December 2 at 2:30pm with a Mass at St. Brendan's Church in Dorchester, followed by a Celebration of Life Concert at 3:30pm at Florian Hall. Please join us....and please share this information with all who knew and loved Patsy. p.s. (apologies for the 'sideways view' of the poster; I can't seem to get it to fit otherwise, and wanted to be sure you have this info as soon as possible). After the long, hard journey the Whelan Family has been on these past couple of years, I cannot think of a more deserving family to be recipients of love and kindness on Giving Tuesday. Tomorrow is Giving Tuesday; if you have it in your heart and means to help the Whelan's with the financial hardship they've struggled with due to medical expenses while Patsy was hospitalized, I am certain your generosity will be gratefully received. Patsy's Life Celebration is on December 2 -- please join us to celebrate Patsy's life and support his family. Thank you. After a long, brave and valiant fight, I am heartbroken to share the news that our dear Patsy Whelan peacefully passed away today at 3:33pm, with Patty and Connor by his side. Thank you for your unending support and love for the Whelan's. Patsy was blessed with the love of family and friends by his side in his final days, sharing stories, music, love and tears...and we were all blessed with the gift of Patsy welcoming us into his world. Rest in Peace, dear Patsy. If ever the Whelan's needed prayer and a miracle, it is now. My heart is heavy watching all that they are going through. Patsy has been struggling with many hurdles these past weeks and months, and it is taking a toll on his body. He is still in ICU, and he needs every ounce of support that you can offer. Patty is also under great duress as she forges on in her role as primary caretaker and advocate for Pasty; she is worn to the nubbin with all that is on her shoulders. The Whelan's are the salt of the earth, and need all the love and support we can muster for them now. Please join me in helping them through this extraordinarily difficult time. If you are able to lend any financial support, now is the time to reach out. If you are able to offer love and support in other ways, now is the time to do so. Please....Patsy and Patty need our love and help....now. Neither Patty nor Connor know me, but please send them my deepest condolences. Patsy was a real life force - full of humor and warmth. His loss to his family is immeasurable. I knew him in 1972/1973 in Bangor North Wales, Limerick and Dublin. It was a wonderful time and those were great places. Patsy enjoyed his life and music so much. This is sad news. This was originally started 21 months ago. Can we have an update? May God bless you Patsy....And make you well! Just heard about Patsy's passing. Our hearts are broken. Our love to his family. So many fond memories. Such a wonderful man, full of life taken too soon. I have many fond and fun memories of Patsy so long ago. Thanks, Patsy. Bless you all. We donated because we loved Patsy. A great entertainer and a great gentleman. 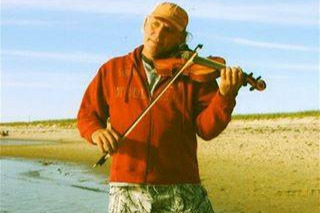 Patsy played for myself and John McClure for years in the Kinvara Pub in Allston, he was nothing but a pure Gentleman to deal with, and an amazing musician and was very part of our sucsess he will be dearly missed .